Today retailers are transforming themselves around the concept that the total customer experience a consumer has with a brand is at the heart of their value. The ‘experience economy’ that has been discussed for so long is here. At the same time improvements in technology mean that a multichannel experience already exists. While we are still some way off true personalisation, it is now crucial to ensure that consumers have one experience with the brand, no matter the channel. What you might have missed in company news, product launches, results and research in the week to 1st September. 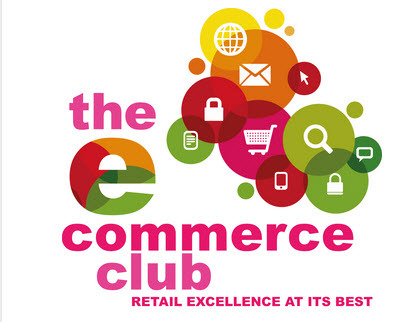 Our Ecommerce Club partner Koomoo would like to extend an invitation for their exclusive evening event Ecommerce Success Secrets by Industry Insiders taking place on Thursday September 28th between 5.00pm – 8.00pm at private members club Soho House, Dean Street, London. ﻿The inaugural IMRG Data Summit is on Thursday 21st September in London – register now and hear Feelunique, Cafepod and Office Depot tackle the hottest issues in data. This week-long virtual summit filled with hand-picked ecommerce experts exists to help ecommerce business owners and marketers identify new growth strategies for 2017 and 2018. All the videos that make up the summit will be going live during the week 18th to 22nd September 2017. Don’t forget to check out the news you might have missed to 29th June. Trends come and go in fashion, and change is a fact of life. One thing that seem set to permanently change the face of online fashion is the rise of visual content and the emergence of “search by image” platforms. 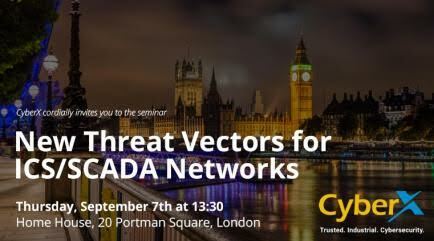 CyberX Cordially invites you to their seminar New Threat Vectors for ICS/SCADA Networks, Taking place on Thursday 7th September at Home House.